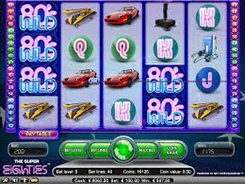 Featuring a 4x5 reels configuration, the Super Eighties slot will show you the things that we love about the 80s and remember with a nostalgic reverence. These are a lightning bolt skateboard, a joystick, a stereo music player with a headphone, a red Ferrari, etc. There also four playing card icons from J through A. You can place a bet anywhere from $0.01 to $100 and adjust the number of active lines you want to have in play from 1 to a maximum of 40. 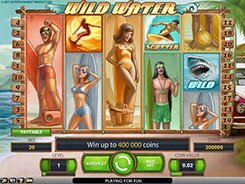 The slot features a wild, a scatter and free spins. A wild symbol represented by the slot’s logo substitutes for other icons and pays out the jackpot cash prize of $2500, for five of a kind. Besides, a wild appears stacked covering more than one position. 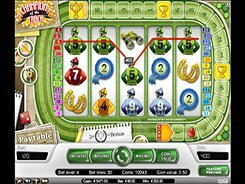 In Super Eighties, a scatter does not create its own winning combos, but these three or more unlock 5 retriggerable free spins with all wins doubled. 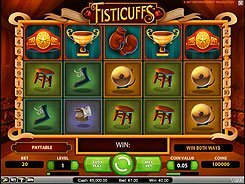 The second and third largest prizes in the game are $2000 and $1250 paid out for five Ferraris and five Music Players respectively.